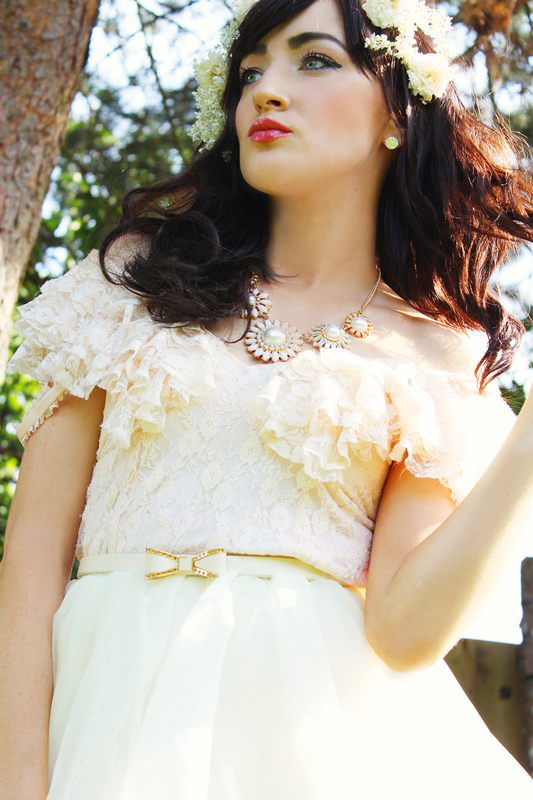 Hey guys, this outfit isn’t so much Dolce Gabbana inspired but rather a very country magical fairy style instead. This has to be my favourite of all time, dressing up in big tulle skirts that blows in the breeze, this one is from, of course my favourite boutique, Chicwish. I feel like a ballerina as well. Whilst picking fresh flowers around the Village I put wore them as a floral crown, I need more of them in my life, real or fake, flower crowns are the best accessory for Summer. I recently got this pink purse from River Island after years of having a floral Cath Kidston one. I’ve got to say its marvellous for cards, coins and notes.